When it comes to the linage of mixed martial arts, many people point to Bruce Lee and the development of Jeet Kune Do as one of the earliest examples of what would become the sport of MMA. Along with his philosophies on fighting, Lee also developed film and television projects, one of which has been turned into the upcoming Cinemax series “Warrior,” debuting on Friday, April 5, with the help of Lee’s daughter Shannon, Fast and Furious franchise director Justin Lin, and “Banshee” co-creator Jonathan Tropper. Speaking to MMAWeekly.com prior to the premier of “Warrior,” Tropper discussed how he became involved in the production, Bruce Lee’s influence on the show’s writing, and what fight fans can expect when it comes to series’ fight scenes. Jonathan Tropper: It just sort of happened organically. 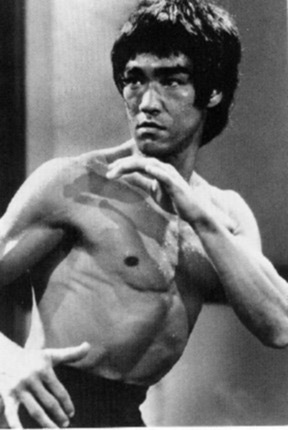 I had been a Bruce Lee fan my whole life, and I had just wrapped up on my last show, “Banshee,” and Cinemax told me that they had a meeting with Bruce Lee’s daughter Shannon and Justin Lin, and that Bruce Lee had written this treatment and they were going to try to turn it into a television show. I was very intrigued. I had heard about this Bruce Lee treatment for years. After I read about it, I got really excited about this time in American history and the potential for the show, and I just dove in. MMAWeekly.com: With Bruce Lee not only being a martial arts icon but also a pop culture phenomenon, what was it like for you to have his name attached to “Warrior”? Jonathan Tropper: To me having the Bruce Lee name on the show means that’s there an entire world of Bruce Lee fans out there whose interest we may catch whereas otherwise we may not. At the same time the responsibility of having Bruce Lee’s name on the show means our fight sequences have to be the best on television. Beyond that there has to be a general quality to the show because Bruce Lee is so revered that we can’t just put out something less than great with his name on it. MMAWeekly.com: After numerous projects used Bruce’s name and image in unauthorized ways, what was it like to work on something with his family, specifically his daughter Shannon, fully on board with the project? Jonathan Tropper: For me it was more about having her there means I can really do things I’d otherwise I’d have to do permission for, like the ability to steal little bits of choreography from his movies, and give little nods to him, quote some of the lines from his books; all of this stuff I can do with her blessing really gives me the opportunity to sprinkle the Bruce Lee ethos all over this story without having to worry about upsetting the family. MMAWeekly.com: Can you give us any examples of homages to Bruce we might see in “Warrior”? Jonathan Tropper: What I tried to do throughout the season to find a few moments to give the Bruce Lee fans moments of recognition. For instance, there’s a major center piece fight in our first episode where our lead character, Ah Sahm, takes out a few fighters and then he sits down on the chest of the first guy he knocked out; which is almost like a frame-for-frame reproduction of Bruce Lee doing it in “Way of the Dragon.” When he gets up from that he gets into a very classic Bruce Lee stance and tweaks his nose, those are moments the Bruce Lee fans will instantly recognize. MMAWeekly.com: Can you tell us about casting the show, and what made Andrew Koji the right man to play the lead in the series? Jonathan Tropper: We wanted to cast the show with very unexpected faces. We didn’t want to cast people that had been seen on a bunch of shows. We cast a very wide net. We cast around the world. The figure of Ah Sahm, the lead character, was going to be really important because a lot of people who went after the show were Bruce Lee imitators, but we made the decision from the beginning we weren’t looking for our lead character to be a Bruce Lee imitator. He didn’t have to look like Bruce Lee. We certainly weren’t going to ask him to move like Bruce Lee, because I think you’re setting yourself up for bad comparisons there, so we wanted somebody who brought his own leading man energy to the role, his own intensity, and we found Koji. There was something really raw about his take on the character. There was something that felt very unexpected and different. We were really taken by him as an actor. He hadn’t done martial arts in a very long time, and he hadn’t been doing that, he’d just been acting of late, but we saw in him the guy who could whip himself into shape and with some training could do some really good television martial arts, and we were right. MMAWeekly.com: Did Bruce’s philosophies on fighting manifest in the series’ fight sequences at all? Jonathan Tropper: First of all, I think Bruce Lee was one of the first mixed martial artists because his whole philosophy was use what works, and strip away restrictions of style and incorporate anything that works. He studied boxing, he studied fencing, he didn’t just study Wing Chung. He incorporated all of that into Jeet Kune Do. The show is kind of a representation of that. We don’t have any two people fighting the same way. We’ve got bare knuckle brawlers, Wing Chung fighters, and other types of fighters. We give each fighter the fighting style that optimizes their character. Sometimes it’s knife fighting, sometime it’s rugged brawling, sometimes it’s bare knuckle boxing, and sometimes it’s various styles of Kung Fu. This isn’t one of those shows that beautifies it to the point to where it doesn’t feel like it’s moving in the real world. A lot of our fights do go down to the floor, do go down to grappling and fighting, and that’s the essence of mixed martial arts. MMAWeekly.com: Thanks for taking time out for us, Jonathan. Is there anything you’d like to say to our readers in closing? Jonathan Tropper: We’re very excited about the show. We’ve taken tremendous pride not just in the characters and in the writing, but also in the martial arts to make it authentic and make it much more real. It’s not inconsequential martial arts. It’s a character in the show. I wouldn’t call it a martial arts show, but I would say that the show is definitely infused with the martial arts spirit of Bruce Lee. I think for MMA fans out there hungry for a show that shows some real martial arts I think this will really make them happy.